What a way to say goodbye! 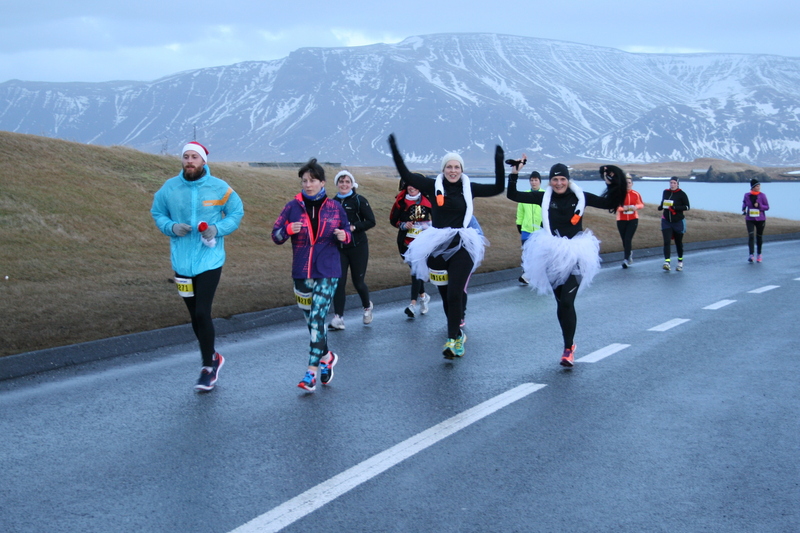 There is no better way to say goodbye to the year than to participate in the 10K ÍR New Year’s Eve Run in Reykjavik, held every year on the 31st of December. 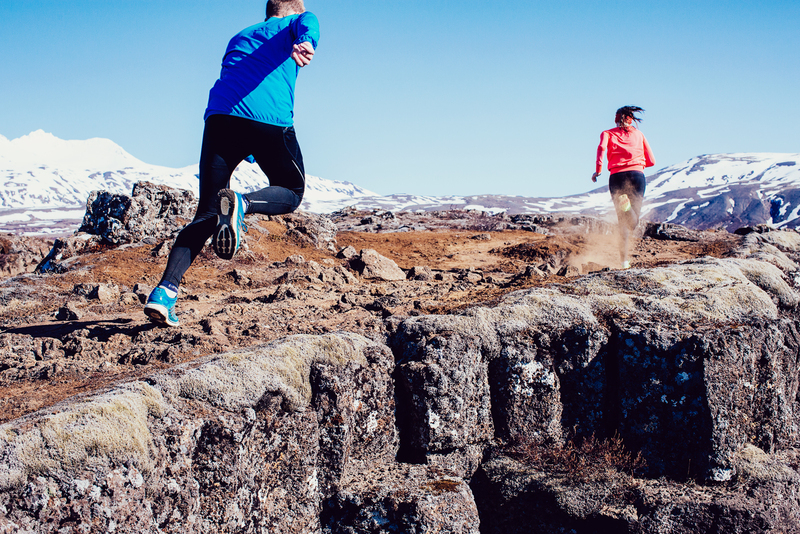 For Icelandic runners the race is as much part of the New Year’s celebrations as the evening’s bonfires and fireworks. 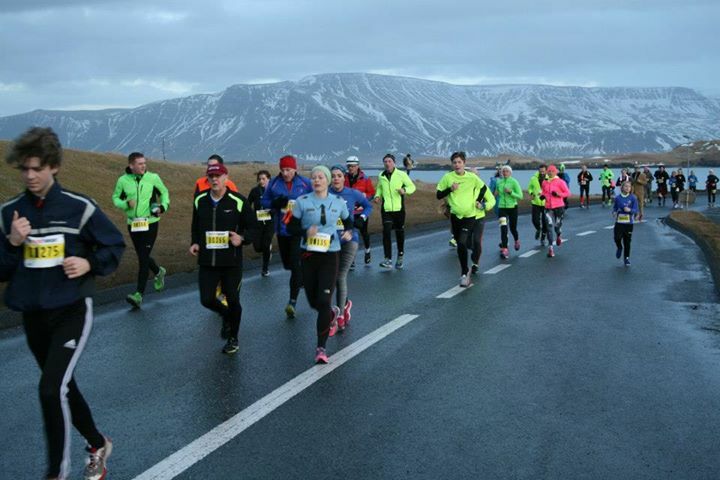 It is held by the track and field club ÍR and is one the most popular running events in Iceland. 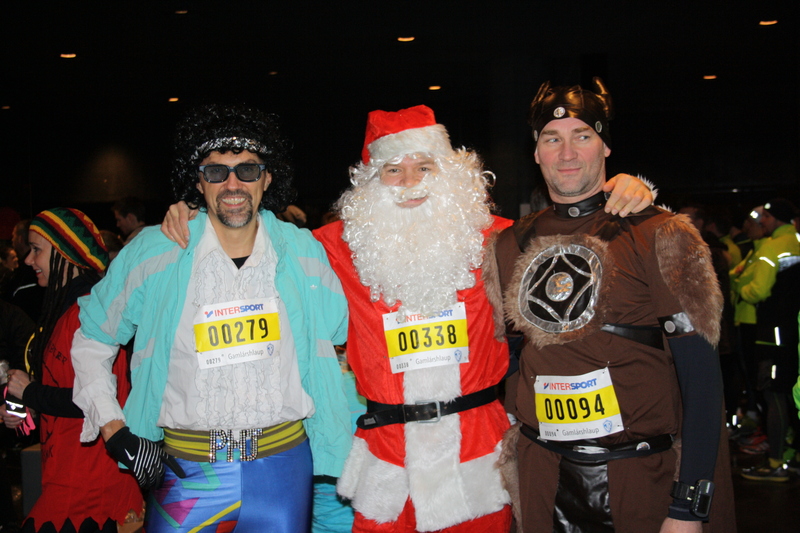 The race has very festive atmosphere with many runners turning up in fancy dress and fun costumes. A special prize is awarded for the best costume. The facilities for the race are downtown in the beautiful Harpa Concert Hall. That is where runners pick up their race package and have access to restrooms and storage for clothing. It is also quite nice to have the opportunity to wait inside until the start if the weather is really bad. Not only is it nice to be able to linger inside after the race and enjoy the refreshments in the warmth inside Harpa. The conference and concert hall is also a must-see for anyone visiting Reykjavik, so running the race gives you the perfect opportunity. The race starts and finishes on Sæbraut next to the Harpa Concert Hall. The route takes you along the ocean to the east past the Sólfar sculpture. The view of the sea and over to Mt.Esja is gorgeous. You make a left turn after approximately 5km and run the next part of the course in the harbor area next to the ocean. Thereafter, you will return to Sæbraut and run towards the Harpa Concert Hall. The course is fairly flat but conditions on the road vary depending on the weather. That is, you can expect ice, snow, slush or the perfect conditions. Registration is on hlaup.is. Runners are encouraged to register through the internet as the fee increases on race day. 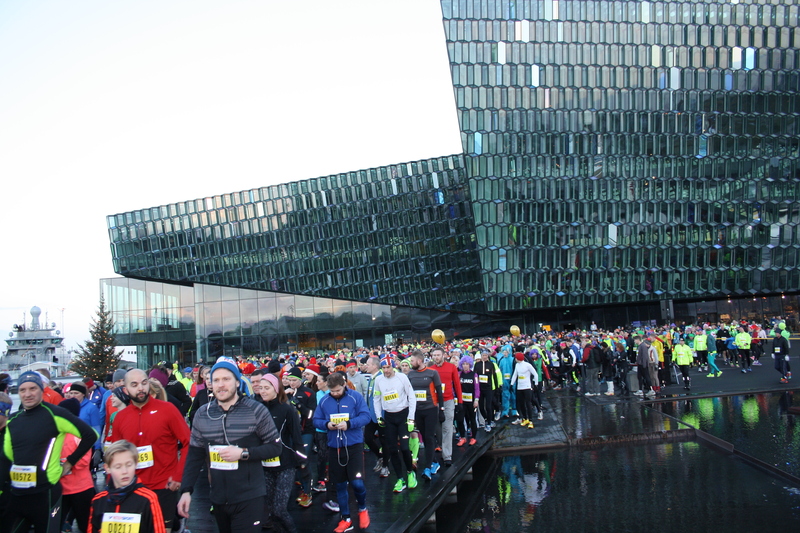 Registration will be open on race day in Harpa from 10 AM until 11:30 AM. Last year there were over 1,200 participants, making it one of the biggest races on the Icelandic racing calendar. This year it is the 41st anniversary of the race. The race is both a serious race where it is possible to register fast times, and a celebration where runners meet up for the last time in the year to wish each other a happy new year and run together one last time. You will find everybody in a party mood! The weather on the last day of the year in Iceland is very unpredictable, but for the last few years it has mostly been good – meaning not so windy, not so cold, not too slippery. And even if it turns out to be a snowy day that just makes it even more fun. After the race there is a prize ceremony and refreshments on offer inside Harpa. There you can chat with other friendly runners about the race, talk about the year’s accomplishments and discuss plans for a great upcoming running year! More information on the official web page. You can find the event on facebook. Don’t wait too long, register for this great event now ! Hi! We want to participate at this great run but the links of the official website and the registration doesn’t work. What we have to do to register us? We have fixed the links now! Hi Tom, registration has not yet opened, it will only open a month or so before the race. You don’t have to worry about the race filling up, there is not any limit to the number of runners. I would like to register at new years eve 10k run.is there any english site to register? I will be visiting with my family over the holidays and am also interested in registration information in English. Thanks in advance!